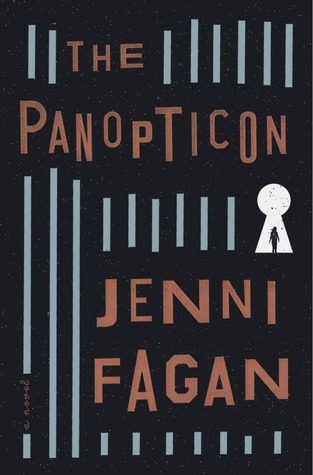 The Panopticon by Jenni Fagan. Hogarth, 2012. Currently Available. Genre: Speculative Fiction. Or Not. This is one of those books that blurs the lines between realism and the total opposite. Face Value: I love this striking cover. It kind of reminds me of Hitchcock posters, and it has that sharp, frenzied look. Seeing Anias in the keyhole is a great metaphor for the trapped situation she is in. Does it Break the Slate? Absolutely and without question. This book, while being a piece of speculative fiction, shines a hard light on the systematic oppression faced by young people in the system, and what an individual young woman can do to break free of those systems and survive. It’s not a hopeful book, but it is absolutely a Slatebreaking one. Who would we give it to? This is a piece of adult fiction, but I feel like it will definitely get some Alex Award recognition – it will have a lot of appeal to teen readers. That said, it’s an emotionally difficult read. But for the reader who is prepared to delve into a big conversation about justice – this is an exquisite piece of fiction. Review: When we meet Anais Hendricks, she’s in the backseat of a police car, being taken to the Panopticon. Somewhere, a police officer is in a coma and there is blood on Anais’s school uniform. We don’t know what happened, and Anais doesn’t remember. The Panopticon is a home for young people “in care,” for chronic young offenders who have nowhere else to go. They have certain freedoms, but they are always under the eye of the all-seeing watchtower. They are awaiting their fates. They have been let down by pretty much every adult in their lives, and they don’t expect much from the people around them. Still, Anais and the other young people in the Panopticon form strong connections with each other, and become a support network in a world that has essentially never supported them. There are the dystopian / futuristic elements to this book, the otherworldly all-seeing Panopticon, the language, etc. But there are also elements that feel so entirely present in our reality, that I wasn’t sure if I was reading contemporary fiction or not. This is a great thing. Anais’s reality is a reflection of the hopelessly broken systems that young people are in, in the UK, in the US, all over the world. Young people like Anais are being neglected, are being abused, are being systematically broken down until they have no choices left. As a theatre artist, I just finished a program working with young people who are incarcerated in Arizona, and I would love to see what their thoughts and impressions were of Anais and her friends and their story. I think they would have a lot to say about her. I loved the character of Anais. While she would certainly qualify as an unreliable narrator when it comes to the surrounding circumstances, there is an emotional honesty and authenticity that comes through in her narrative voice. And the degree to which she has been let down, and still manages to be there for her friends is raw and real and inspiring. The supporting characters, particularly Isla and Tash are almost as wonderful, beautifully drawn through Anais’s eyes. The tragedy of their love story will stick with me for a long time. This is a heart-wrenchingly good book. It was also a difficult book to read, because Jenni Fagan does not let her characters off easily. Through this alternate reality, we get an effective glimpse into the failings of our actual reality, and the way we systematically let down children over and over again. I know I’ll be thinking about, and recommending this book , over and over again. This entry was posted in Reviews, Young Adult and tagged adult fiction, Foster System, incarceration, juvenile justice, systems of oppression. Bookmark the permalink.